The more the merrier! Our Primary photographers take thousands of wedding photos every month and submit their favorite moments for the public to vote on to win “Photo of the Month“. Read-on to find out which photo won best “Primary” photograph for “Photo of the Month” July 2016. Primary photographer, Andreo, took this fun “selfie” family photo at Erika and Rods wedding on July 3rd, 2016. Congratulations Andreo on winning July’s Photo of the Month for the Primary Photography category! 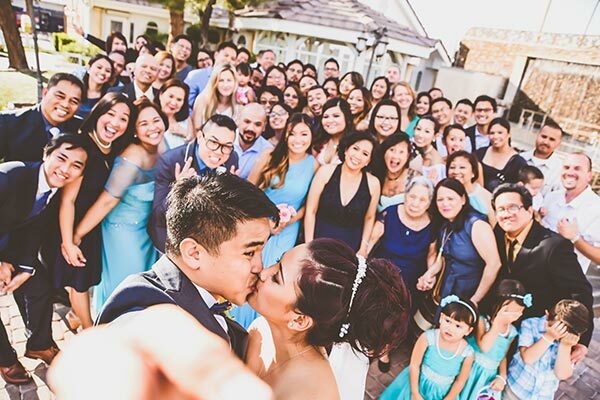 Don’t miss out on capturing the moments from your Las Vegas wedding. Our on-site photo session and Las Vegas strip photo sessions can be add to any wedding packages! Contact our wedding planners today to start planning your special day!